This black neoprene cup cozy measures 5.25" tall and fits a standard-sized soft drink can. The word "Groom" is silkscreened in gold on one side. 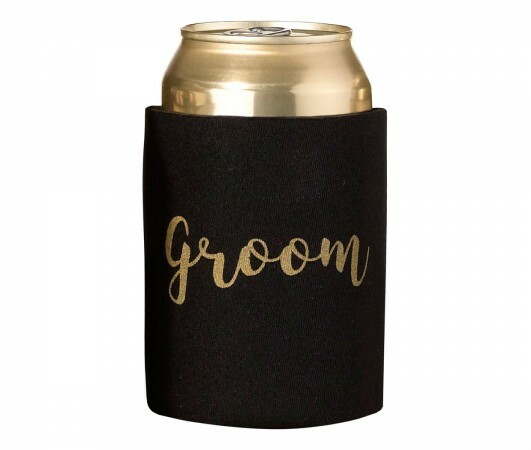 This is a great gift for the groom to keep his drink cold and without the worry of possible mix ups on whose drink is whose!